It seems the pace of Auckland rent rises have actually slowed - that's according to a new rental market report from Barfoot & Thompson. There's been much talk of late about sky high rental prices and the potential for their further escalation if landlord costs keep going up. But Barfoot & Thompson's latest quarterly rental market update shows that rent increases in Auckland are easing. According to the report, the cost of renting a typical three-bedroom home in Auckland rose 3.9%, or by $20.77, year-on-year during January to March 2018, which is the lowest rate recorded in two years. This compares to a year-on-year increase of between 4.2% and 4.3% during each quarter of 2017 and increases of nearly 5% that were recorded during 2016. Barfoot & Thompson director Kiri Barfoot says that, in real terms this means the average rent for a three-bedroom home has gone up a couple of dollars less than it has in the past. But it is a notable turning point after the peaks of 2016 and a very steady 2017, she says. The report uses three-bedroom properties, which make up around 40% of the properties the agency manages, to measure the market. However, Barfoot says that two-bedroom properties and homes with four or more bedrooms saw similar rates of change during the quarter at 4% and 3.7% respectively. The outlier was one-bedroom properties, which saw a rent increase of 5.3% year-on-year for the quarter. Area by area, prices for rentals of any size were most under pressure in the Central Suburbs and West Auckland, where they were up by 5.7%. 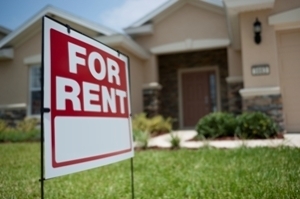 Rental prices rose the least in Pakuranga and Howick, where they went up by just 2.2%. Barfoot adds that, contrary to some reports, they are not seeing a mass exodus of landlords from the market.